jumping lesson today... Echo and i still have a LOT to do to get fit this summer! i'm so excited for tomorrow, maintenance is coming to install a fan in my bedroom :D i just can't get through another season of blazing hot without an overhead fan to have on... it's way to hard to sleep when it's hot. i'm hoping they come early so i can get out to the barn... but they will be here between 8am and 5pm. that is way too long a window! 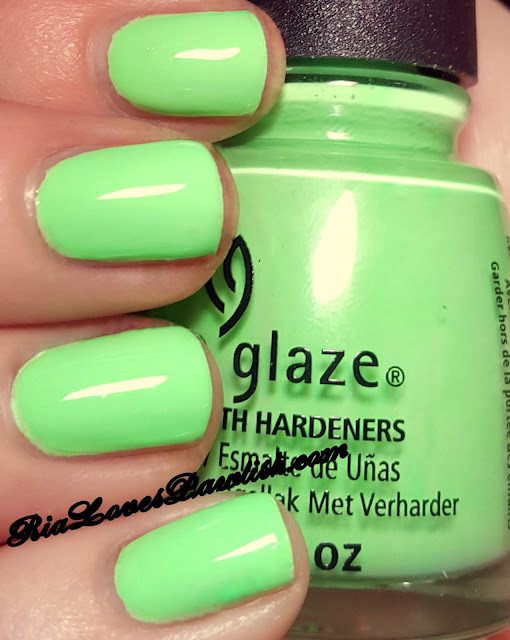 Lime After Lime is today's China Glaze Lite Brites polish! (press sample, kindly provided to me for review). it's a bright, light green creme... lime is a pretty good description, but i think bright kiwi is even better! 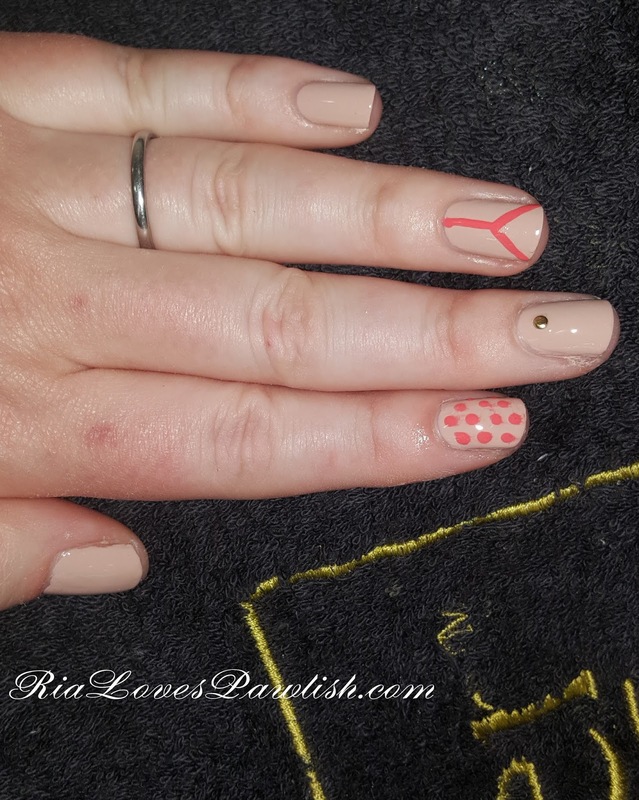 two pigmented coats made for perfect opacity. since it's not quite neon, it dries shiny on its own... but i still recommend topcoat. i also went ahead with a white creme base to make it really pop! one coat FingerPaints Base Coat For Neons (press sample), two coats Lime After Lime, one coat Salon Perfect Crystal Clear Top Coat. went on a beautiful trail ride today, the woods are all green for Spring! i haven't been on a trail ride since last year, so i especially enjoyed it :) Echo was a super good girl today, very chill, even when a deer went running through the woods. she really earned her peppermint! today's China Glaze Lite Brites polish is I'll Pink To That! (press sample, kindly provided to me for review). it's a bright saturated pink creme... not quite neon, but bright enough that i went with a white creme base. 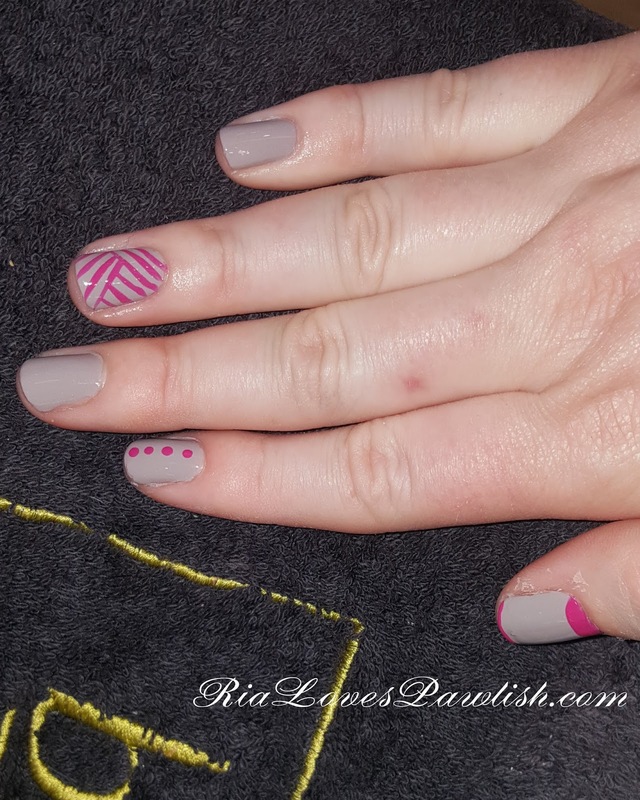 make sure to wipe the brush off as it's easy to get to much on the nail with this one. two coats for perfect, non-patchy coverage. since it isn't a true neon, it dries a bit shiny... but it's way better with a high gloss topcoat! one coat FingerPaints Base Coat For Neons (press sample), two coats I'll Pink To That, one coat Salon Perfect Crystal Clear Top Coat. What I Like About Blue is today's China Glaze Lite Brites polish! (press sample, kindly provided to me for review). 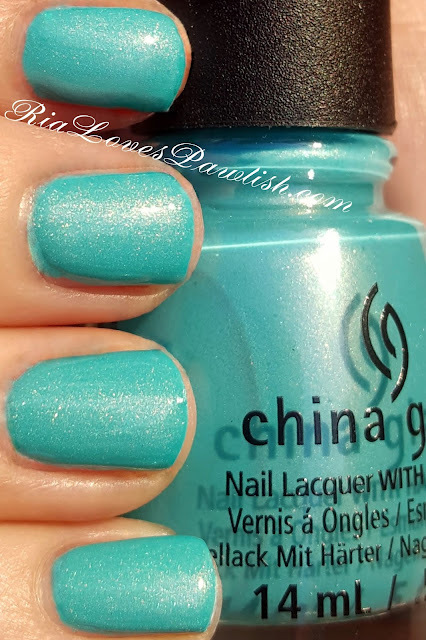 it's a green-toned blue shimmer... and this shimmer isn't shy! it's a beautiful, delicate shimmer without overt glitter pieces. China Glaze describes this polish as sky blue... i disagree, i think it's more of a blue turquoise! makes me think of what i imagine tropical oceans look like in person :) people at church today noticed and liked it as well! this one seemed a touch more sheer, so you will probably need that second coat to make sure there is no patchiness. as it has neon pigment, i highly recommend a white creme base to apply it on... that's what i did. it dries pretty dull, so bring on that shiny topcoat! one coat FingerPaints Base Coat For Neons (press sample), two coats What I Like About Blue, one coat Salon Perfect Crystal Clear Top Coat. 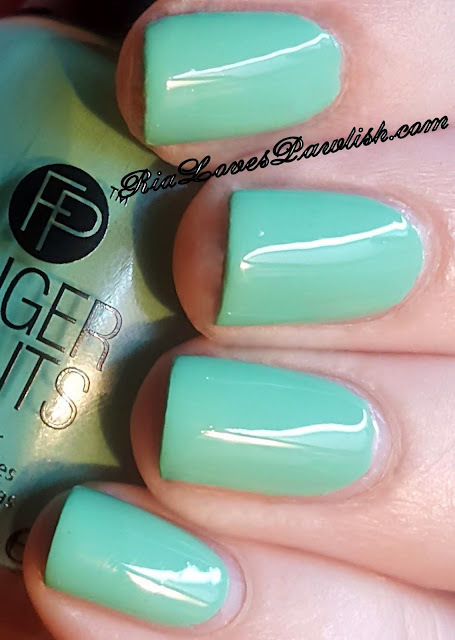 today i have FingerPaints Folk He-Art to from their Endless Wear polish line! (press sample, kindly provided to me for review). 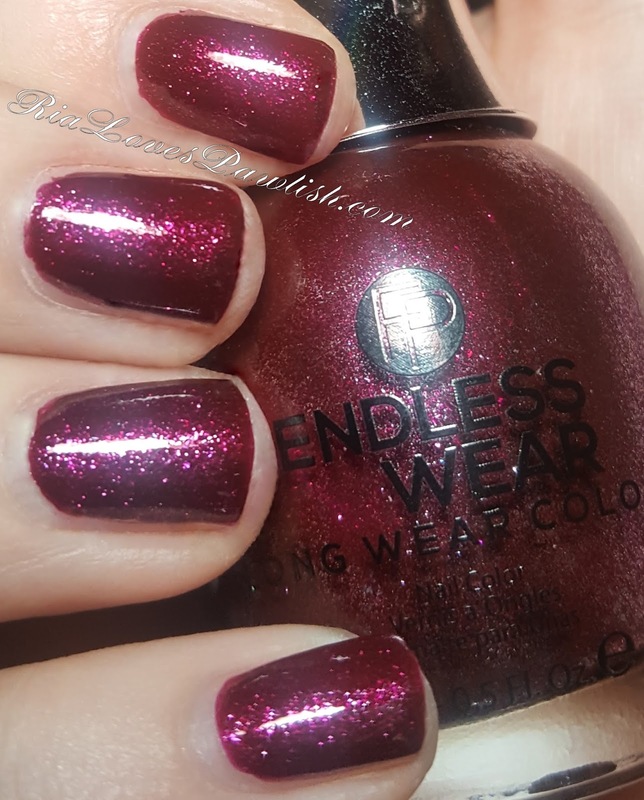 it's a rich burgundy shimmer... super sparkly in bright light and in the shade you can see a lot of the individual shimmers! applies easily... you can go with one coat and have it opaque, but i do prefer two. definitely want to add topcoat as this does not dry shiny and you'll lose a lot of your sparkles if you don't! two coats Folk He-Art, one coat Salon Perfect Crystal Clear Top Coat. it's way more sparkly in person than you can capture in a photo! sorry about the weird reflection leaving that blueish cast in the middle... couldn't figure out what was causing it. on to something happy... FingerPaints The Mural of the Story! (press sample, kindly provided to me for review). it's light teal creme... similar to Tiffany blue, but with a much greener undertone. 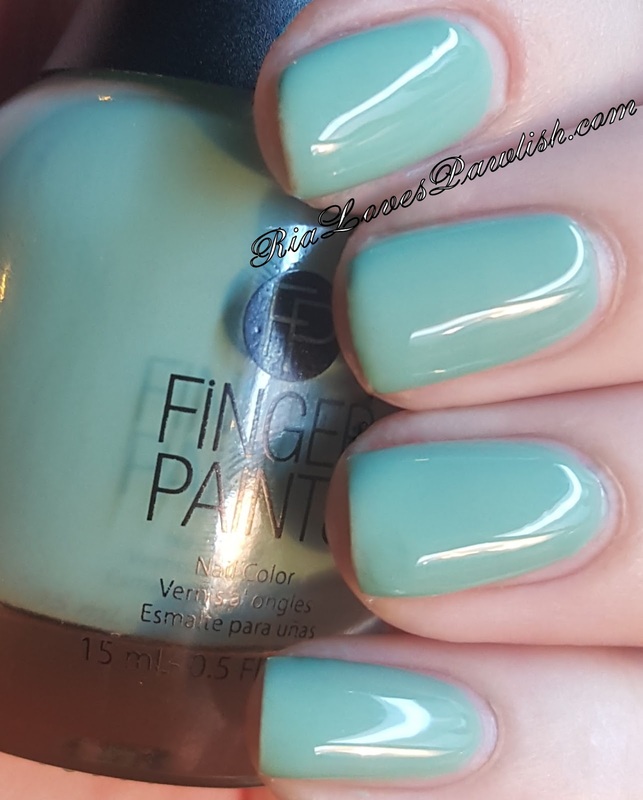 it's also quite similar to FingerPaints Party Teal Dawn (press sample), except Party Teal Dawn is a touch darker and far more dusty. 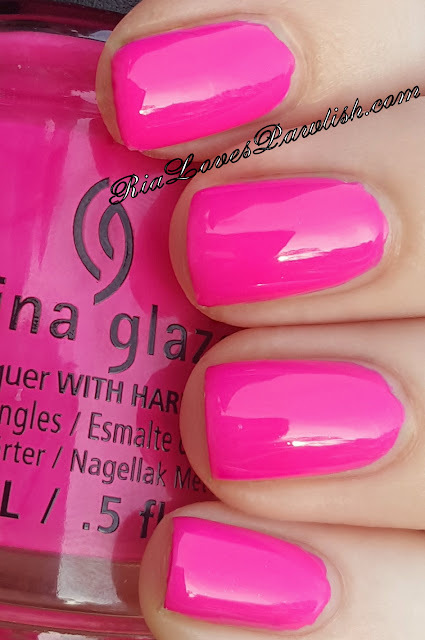 (it applies like a dream, easy to work with and opaque in two coats. it dries shiny on its own... but like usual, i prefer it with topcoat! two coats The Mural of the Story, one coat Salon Perfect Crystal Clear Top Coat. today was pretty warm out... but i couldn't get my lazy behind in gear in time to go to the barn! i decided that since i did that, i had to really get something productive done at home. so, i spent the day working on Mr. Pawlish and my bedroom... shamefully, there were still boxes i had not unpacked O.O i mean... we only moved two years ago! yikes. 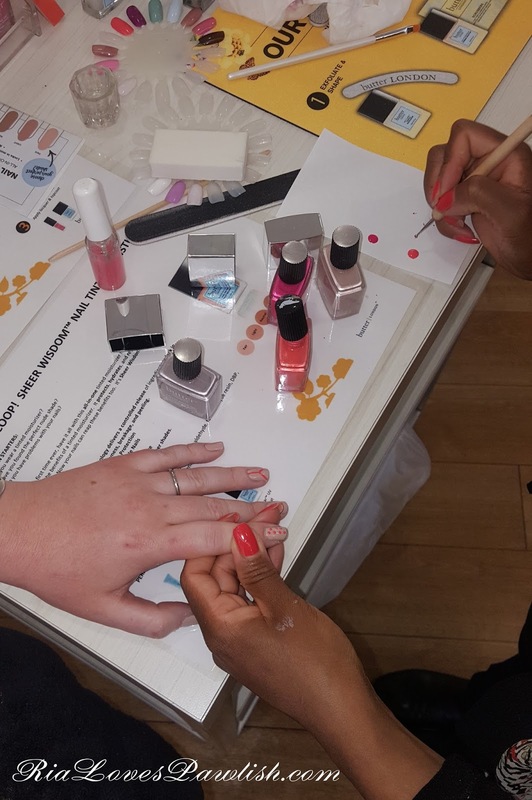 1 Step Soak Off Gel Polish - Prep nails, apply 1 coat of the 1 Step Gel Polish, and cure! Voila! No need to wipe tacky layer...seriously just 1 step, no base coat or top coat to achieve a beautiful manicure in minutes! Glides on smooth with glossy gel finish. If you want to apply a 2nd coat then apply on top of the 1st coat and cure. That's it! 19 colors to choose from! Easy & simple 1 step application! 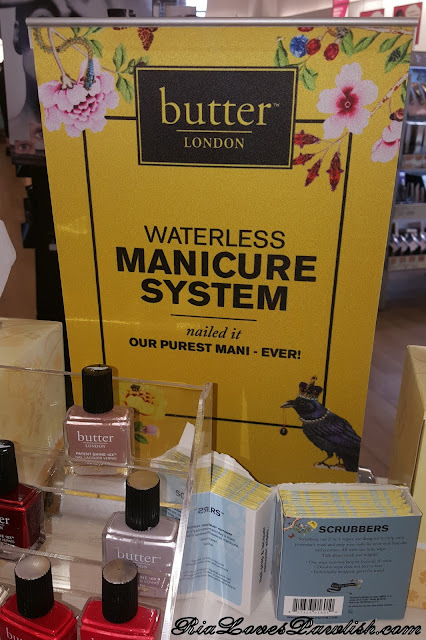 No base or top gel needed! 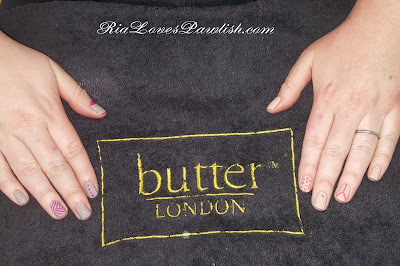 No tacky layer to remover! i've been testing out the new Garnier SkinActive Micellar Cleansing Waters for awhile now, and i want to share my thoughts on them with you all! 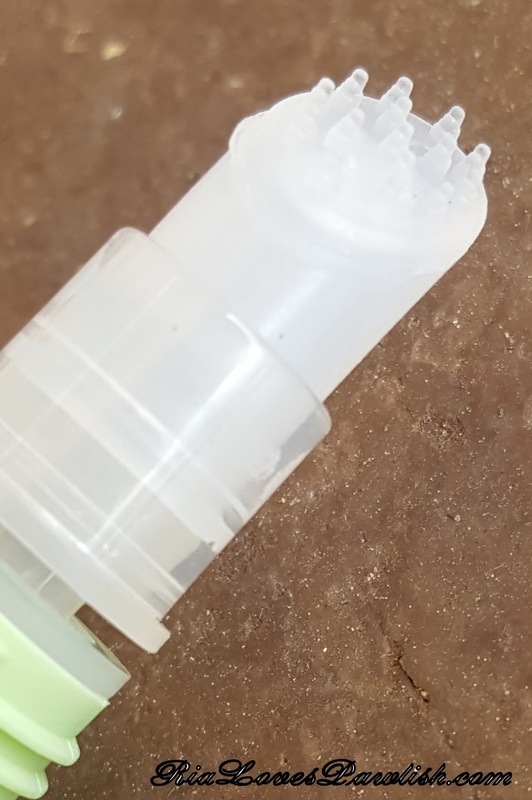 there is a waterproof version which separates into two different liquids and must be shaken up before use... the regular version is only one type liquid. both are oil, alcohol, and fragrance free. not sure what the liquid that separates is made from since there is no oil! 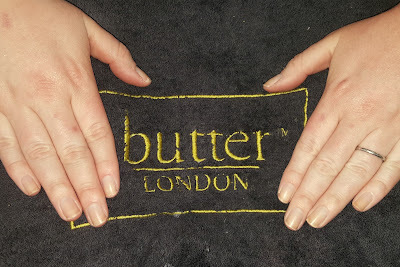 it's easy to use, simply saturate a cotton pad and wipe on. for eye makeup, i recommend holding it the eye area for a little bit before wiping away to help dissolve the makeup. this makes removal easier! i didn't find a huge difference between the two, but makeup does remove a little more easily with the waterproof version. 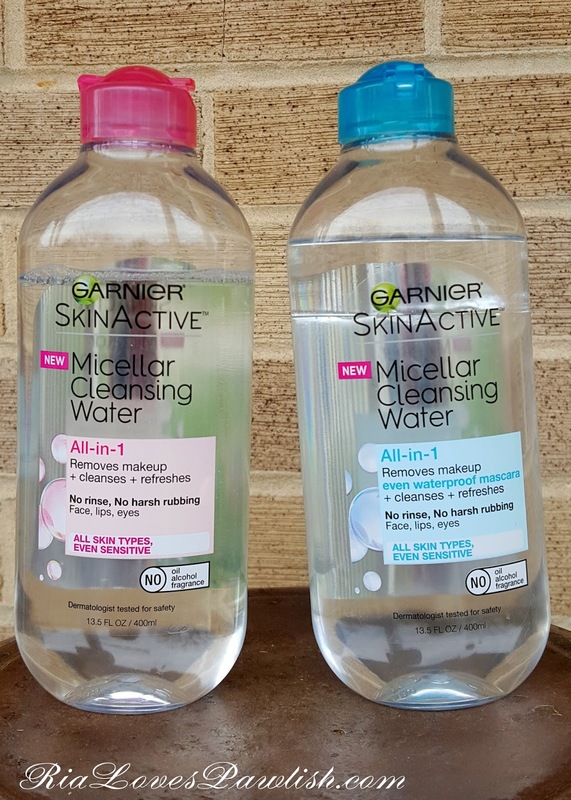 these are both touted to remove all makeup without the need of being washed off after... basically replacing your need for a wash. i really don't care for the way it feels on my skin, kind of heavy and thick, so i always rinsed it completely off. my other issue is that while it works fairly well on eye makeup (both struggle with mascara), it just isn't enough for the face. even after multiple soaked cotton pads (6 or so) there was STILL foundation left. for me, i use these to remove makeup from my body... such as hand swatches, makeup leftover from application (such as using back of hand to warm up concealer), and swatches on my arms for the blog. i know these work a lot better for some people... but i'm just not seeing the hype. i bought mine at Ulta... my fave place, of course!! had a doctors appointment today... wasn't very productive. makes me pretty irritated that i sat in so much traffic for so long for basically no reason. after that, Mama Pawlish and i had lunch, then went grocery shopping. glad the rest of the day was nice and productive! we are finishing up the last of March's Pixi blogger sample box today with their new Nourishing Lip Polish ($12)! (press sample, kindly provided for review). it's a lip scrub designed to remove all the dead/flaky skin leaving behind plush, soft lips. you can find Pixi products at Target stores, www.Target.com, and www.PixiBeauty.com!! ran some errands today, then slept this afternoon... dunno what was up with my body today! i woke up at 430am and couldn't go back to sleep, then completely crashed about 230pm and slept until 600pm. so weird! 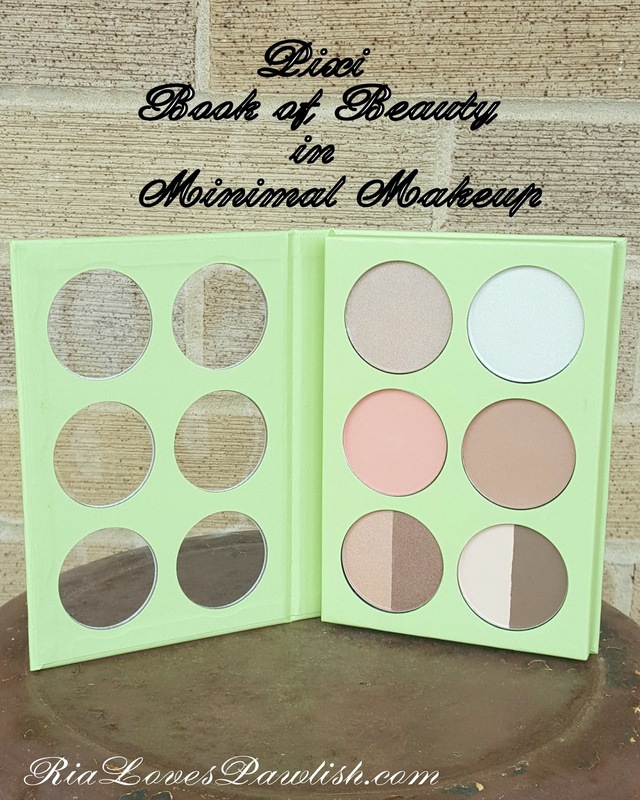 today we are checking out the Pixi Book of Beauty in Minimal Makeup (press sample, kindly provided to me for review). Pixi has several new Books of Beauty which are palettes with six powder shades that retail for $15. Minimal Makeup (as the name suggests!) is designed to help you create that perfect no makeup makeup look! it has six large round powder pans in sturdy cardboard packaging. 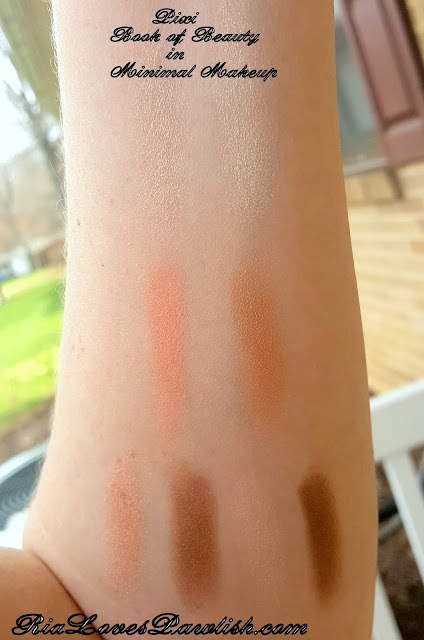 i like that there are windows on the front of the palette so you can easily see the colors... i much prefer packaging that lets you see the actual product. jump lesson got cancelled today, so Echo and i just worked on some flat work... so glad it had stopped raining! most everything had dried out by the time i got to the barn and it had turned into a gorgeous day. i'm SUPER excited about the product i have to share with you guys today! 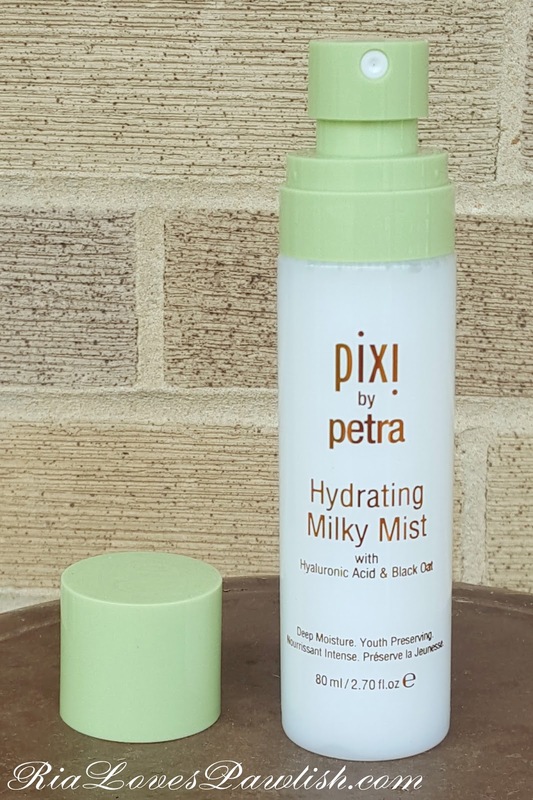 it's Pixi's Hydrating Milky Mist, a moisturizing spray that dries to a satiny finish. 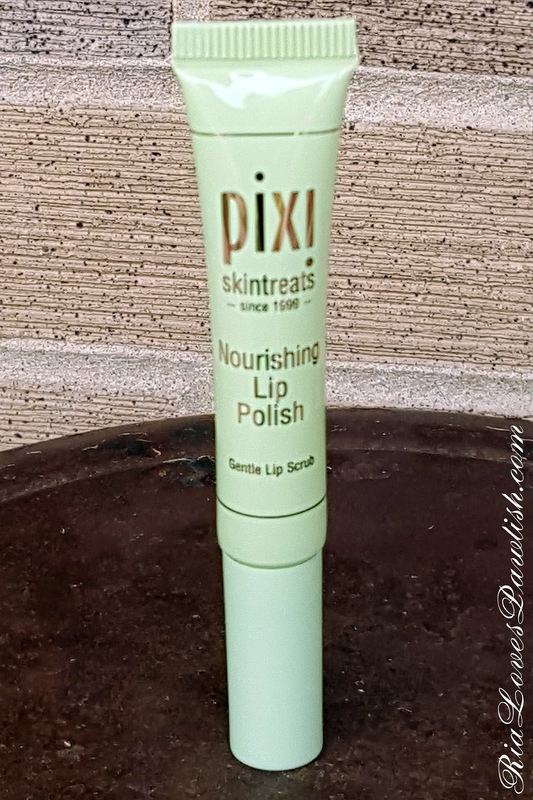 it came in March's Pixi blogger sample box... but i had already bought it in early February, right when it landed in Target stores. it's perfect to refresh your skin during the day, i like also using it right after i wash my face and put on a cream moisturizer... it just makes your skin feel so lovely. not only can it be used to moisture your face, it can also be used as a setting spray! i use it for a setting spray a lot, i love the satin dry down effect, plus it smells amazing. i'm not good at describing scents... but i love it, whatever it is! it has hyaluronic acid in it which helps to plump the skin and keep it looking fresh and young... i certainly need all the help i can get as i spend so much time outside. here it is, retailing at $15! i was so happy to get another bottle in my sample box because the one i bought is running low :D this is a product i will definitely continue to repurchase! today i want to give you all my thoughts on a new product from Tweezerman... their Easy Finish Facial Hair Remover! i saw this while i was at Ulta the other day... i immediately grabbed it and since it retails for $14.99, i was able to use their $3.50 off $10 coupon which it even more affordable. the tool is a plastic oval with a tight metal coil at one end... that's it! the directions are to simply roll it on your face, as the coil rotates it should pinch the hairs and pull them out. sadly... that is not how it worked for me AT ALL. i found it difficult to even get the coil to grab the hairs, and when i did, it broke them instead of ripping them out. so for the most part, i now have marginally shorter hairs on my face, but not many got removed. because of this, i actually returned this product! i rarely return something and do a review on it, but i wanted to warn you guys about this one... definitely not worth the money. actually, i don't think it's worth anything at all. i LOVE Tweezerman products and own loads of them... and am very sad this one is such a bummer. 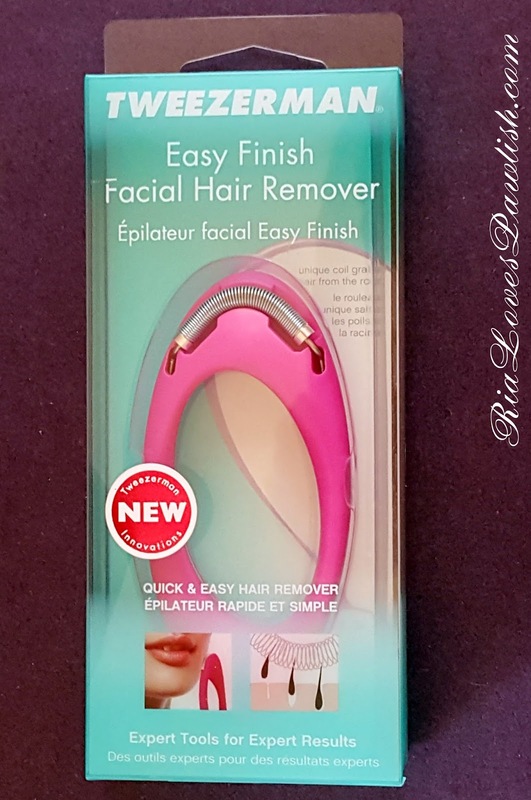 have you tried the Easy Finish Facial Hair Remover? what was your experience? today i have the press release for the new China Glaze collection, Lite Brites! there has been some chatter on social media about it and people are SO excited about this collection. it looks gorgeous... so many ultra-bright and neon colors. i should be getting press samples for this collection, can't wait to share it with you guys! When it comes to bold, in-your-face beauty looks, no decade trumps the 1980s. Individuality was expressed through a variety of trends but one thing was constant: neon! Blindingly bright colours exploded in multiple patterns, and nails and makeup were loud and proud. This summer, China Glaze® is back FROM the future with its Lite Brites collection, a nod to the audacious spirit and outspoken style of the ‘80s with 12 all new bold neon crèmes and shimmers. Live out loud – and in colour – with the China Glaze® Lite Brites collection, available in April 2016 at Ulta and Sally Beauty Supply. MSRP $7.50 for individual shades. looks like Princess Echo is feeling better... hopefully, she'll be 100% on Saturday so her owner can ride her. next week is a two lesson week for me, so fingers crossed she'll be ready to go :D i'm so happy the weather is better and i can go up to six lessons a month... which means i get to jump every week! nothing better. two coats 50 Shades of Ashley over Salon Perfect Sugar Cube, finished off with Salon Perfect Crystal Clear Top Coat. it's even better in person!! had a jumping lesson with Echo today... she was a bit lame afterwards, so she's going to get a couple days off :( makes me so sad that she's all hurtie right now. hopefully she'll be back at 100% next week! 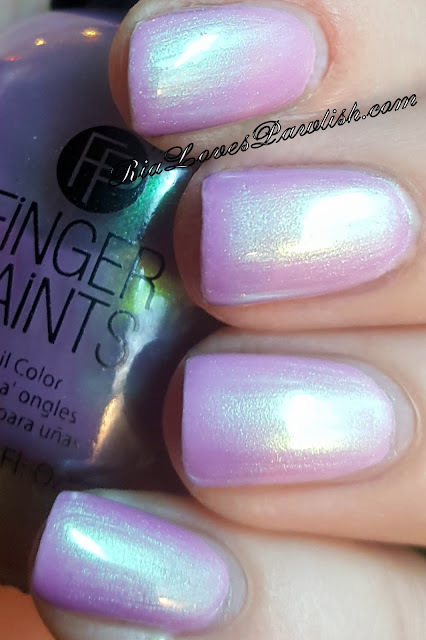 today from FingerPaints Project Runway collection is Blushing With Excitement (press sample, kindly provided to me for review)! it's very dusty pastel pink creme... blush is actually a pretty good description of it. 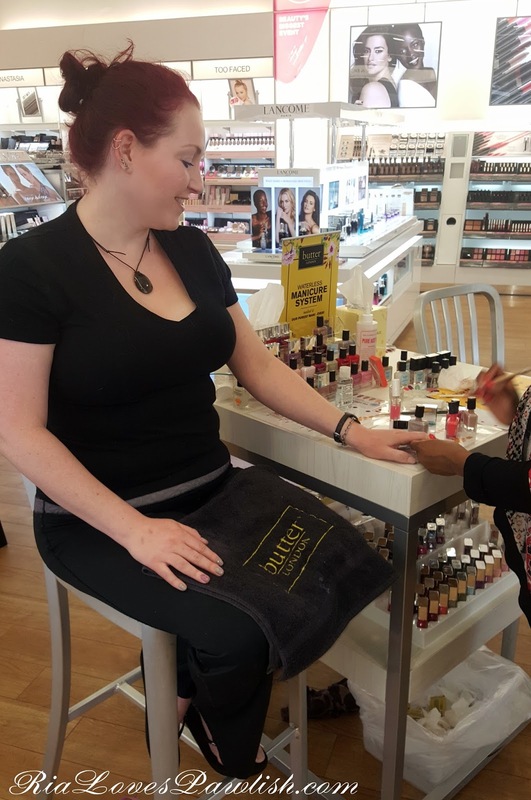 like the other cremes in this collection, it's easy to apply and fully opaque in two coats with a shiny finish upon dry down. it's even better with a glossy topcoat which has the bonus of helping it dry faster! two coats Blushing With Excitement, one coat Salon Perfect Crystal Clear Top Coat. bonkers weather here again... warm morning, rainy afternoon... and a freeze warning for tonight! if only the weather would just make up its mind >.< i think it's supposed to be quite cold tomorrow... i'm hoping it's not too bad since i have a jumping lesson in the afternoon! Party Teal Dawn is today's FingerPaints Project Runway polish (press sample, kindly provided to me for review)! it's a very dusty blue-toned green creme... not what i would consider teal, though. the formula is great, two easy coats for full opacity and dries glossy on its own... but as usual i recommend topcoat to help it dry and for extra shine! two coats Party Teal Dawn, one coat Salon Perfect Crystal Clear Top Coat.